PRAYER PROMPT ••• About a year or so ago, I started reading Francine Rivers’ books. If you’re not familiar, she’s a popular Christian fiction writer. In this novel, she took the story of the prophet, Hosea, in the Bible and set it during the California Gold Rush. 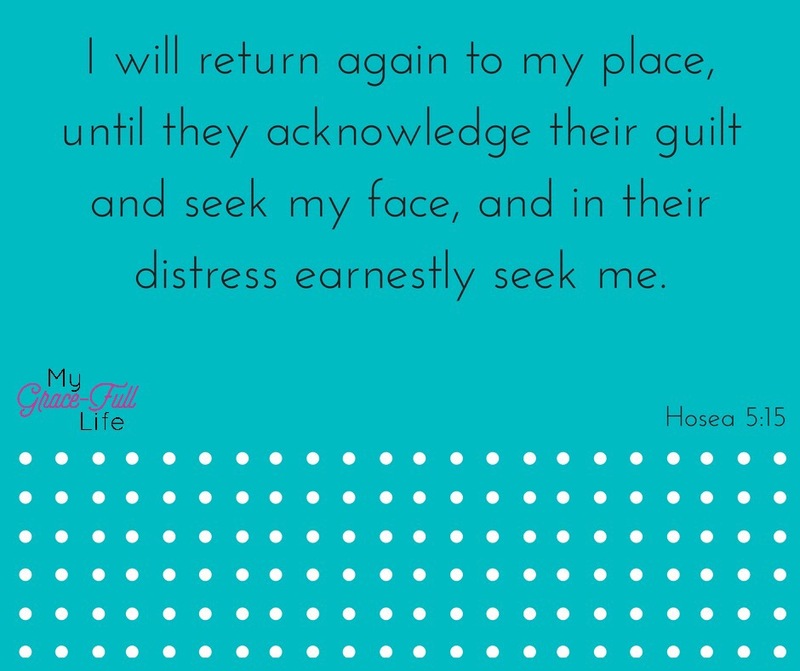 In reading that fictionalized account, I became so interested in the life of Hosea. This is a man who God told to marry Gomer, a prostitute. He obeyed but then repeatedly had to keep bringing her back, as she kept returning to her old ways. The marriage of Hosea and Gomer is an example of how God felt about Israel. He loved Israel and yet, Israel continued to do the same dance over and over… grow complacent, rebel against God’s laws, get in trouble, repent, draw close to God, and then, the cycle repeated. How different are we from Israel or Gomer? When life’s going well, do we grow complacent? Only to call out to God when the going gets tough or we need help? And yet, though we are guilty of this cycle, God is still there. Waiting for us to call on Him and repent. As much as I know I’m guilt of this behavior, it makes me so sad. The verse gives me a visual of someone who is relegated to a chair in the corner of a room, just hoping to be called on. How it must hurt Him! And who am I to make God wait while He sits to the side until I decide it’s time to acknowledge Him? Today, as you pray, ask God to forgive you and to help you to break the cycle. Ask Him to take center stage! Let Him know you don’t want Him on the sidelines! Tell Him you know His love and grace are endless, even when you don’t deserve either.